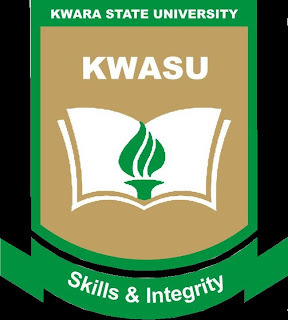 In the quest for excellence and building a concrete relationship among all KWASITES, Kwara State University Alumni Association launched an excellence scholarship programme for Kwara State University UNDERGRADUATES. The KWASU Alumni Association Undergraduate Scholarship will be a yearly scholarship programme for qualified Kwara State University Undergraduates starting this 2014/2015 academic session. August every year, qualified KWASU undergraduates in their second year (200 Level) and above will be invited to participate in the scholarship scheme through the submission of a duly completed application form (offline or online). The KWASU Alumni Association Undergraduate Scholarship applications for the 2014/2015 academic session has been announced. All students of Kwara State University that are qualified can start applying for this scholarship award. Application forms will be made available at the Alumni Relation’s Office. Applicants must be a registered full-time KWASU undergraduate in their second year and above. Applicants must have obtained a minimum Cumulative Grade Point Average (CGPA) of 3.0 out of 4.0 in the previous academic year. Interested and qualified KWASU undergraduates who wish to apply for the KWASU Alumni Association Undergraduate Scholarship programme should visit the Alumni relations office to pick up the application form. (c). A duly signed and stamped letter of recommendation from applicants HOD. All applications received will be reviewed by the Alumni Association Grant and Scholarship Committee and shortlisted applicants will be notified. Shortlisted applicants will proceed to the individual interview stage. Successful applicants in the individual interview stage will be awarded scholarships based on the amount of funds available. ***Please note that incomplete or falsified information will invalidate the application. It is important to visit the official website (link to it is below) for complete information. Also, please pay close attention to the deadline dates below for submitting completed applications and notifications. Shortlisted Applicants will be notified – 29th September. Individual Interview – 1 week after short listing. Successful applicants in the individual interview stage will be notified and announced – 2 weeks after Interview. Presentation of awards will be done on a date to be announced by the Association.